This product works well within 10 - 30m where there are two thick walls without any corners. 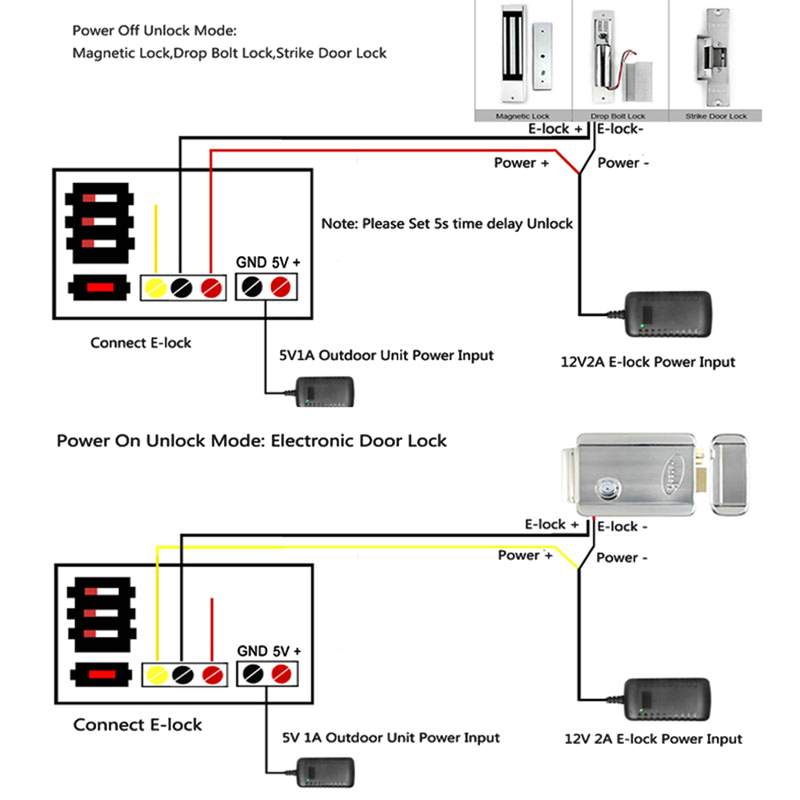 The different environment has different signal interference, so as the signal transmission. In addition, the transmission distance will be up to 100m if no nay barriers. 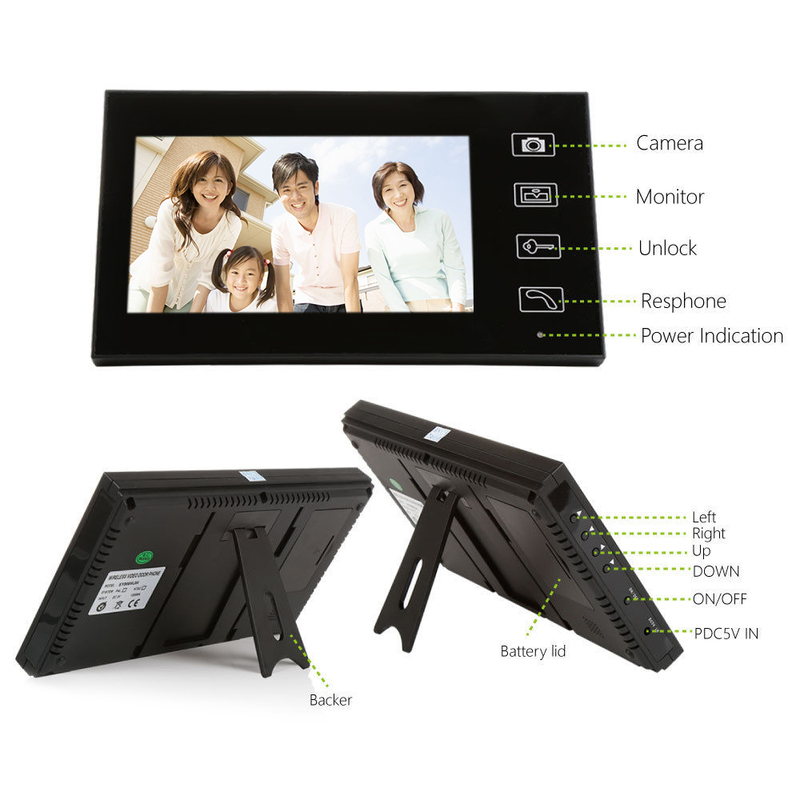 - 7 inch TFT color display, 0.3 megapixel camera. 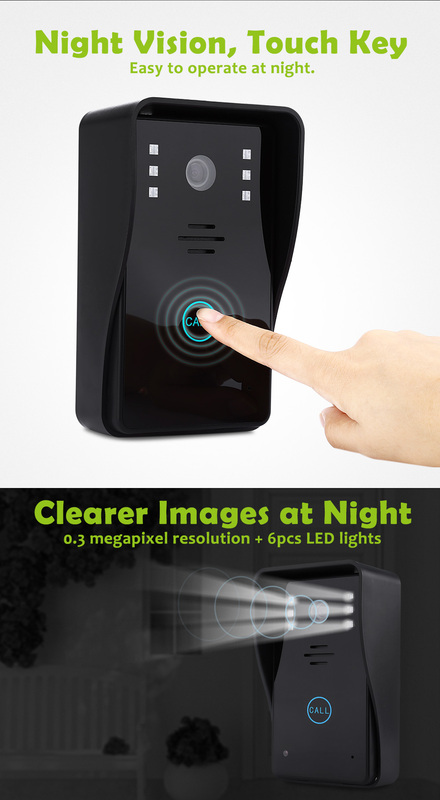 - Night vision function, capture images in a low-illumination environment. 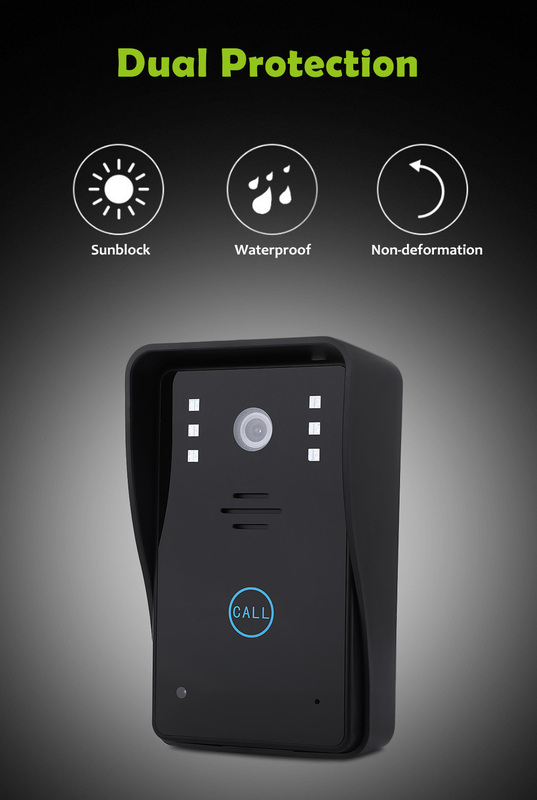 - Surveillance, wireless unlock, hands-free call and talk. - With a rain shield for the outdoor camera. - 12 chord melodies for your options. 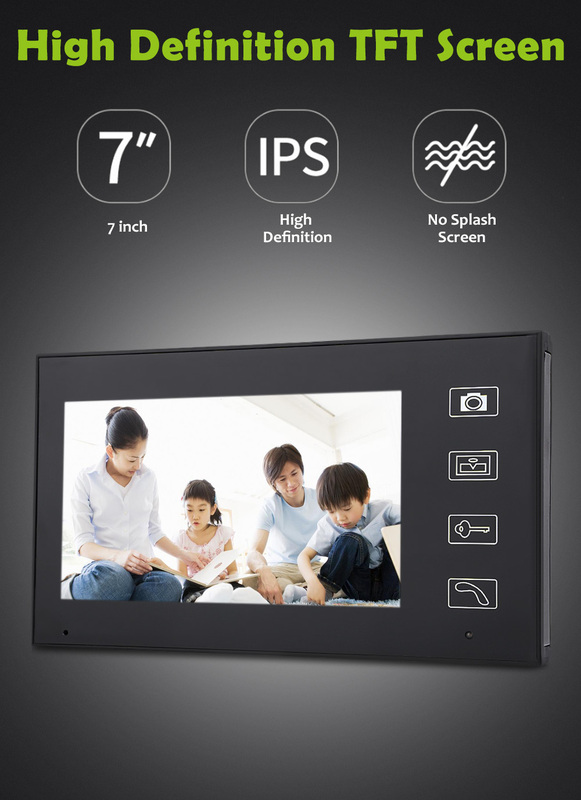 - Indoor monitor can take pictures automatically and store up to 130 pictures with date and time. 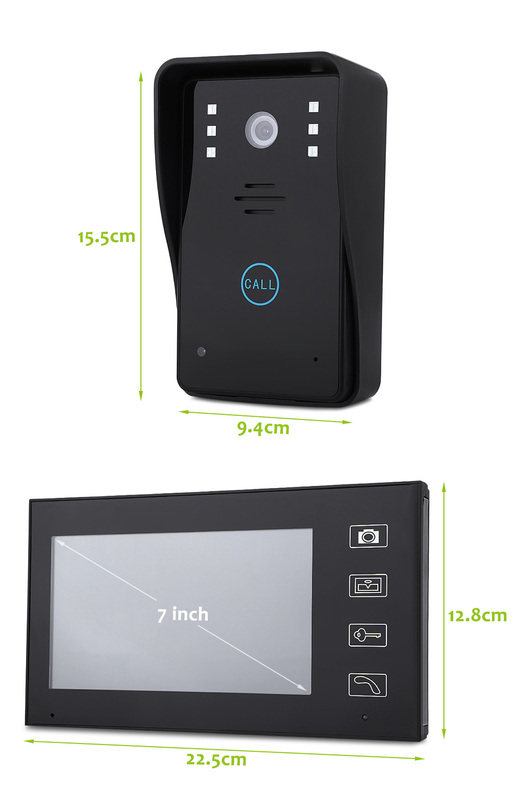 - Built-in BL-5J 1320mAh Li-ion battery. 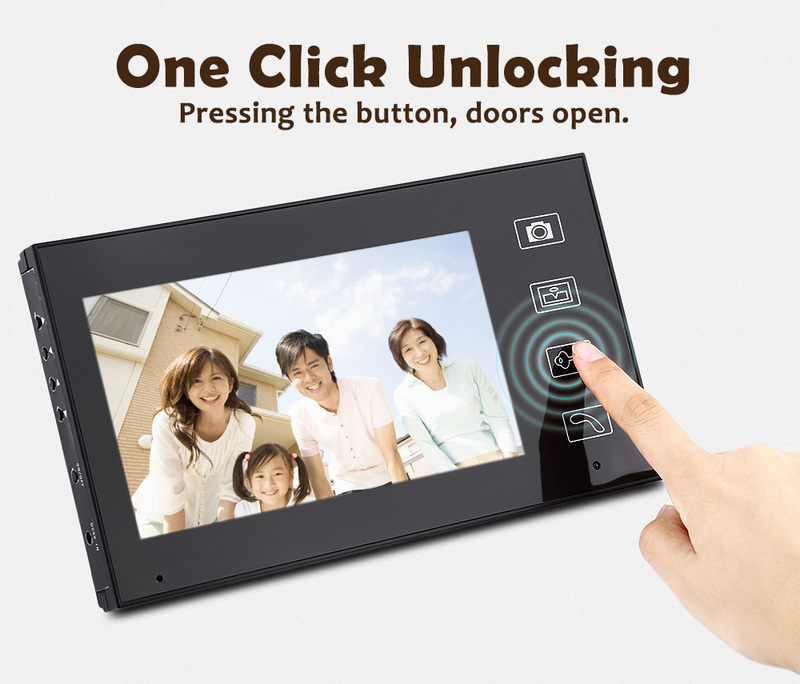 - Wireless unlock control supports power on and power off unlocking mode. - Multiple kinds of installation, hang on the wall, cabinet, or be placed on a desk, table, etc. - Time shows on the screen. - Time, brightness and talk volume are adjustable. 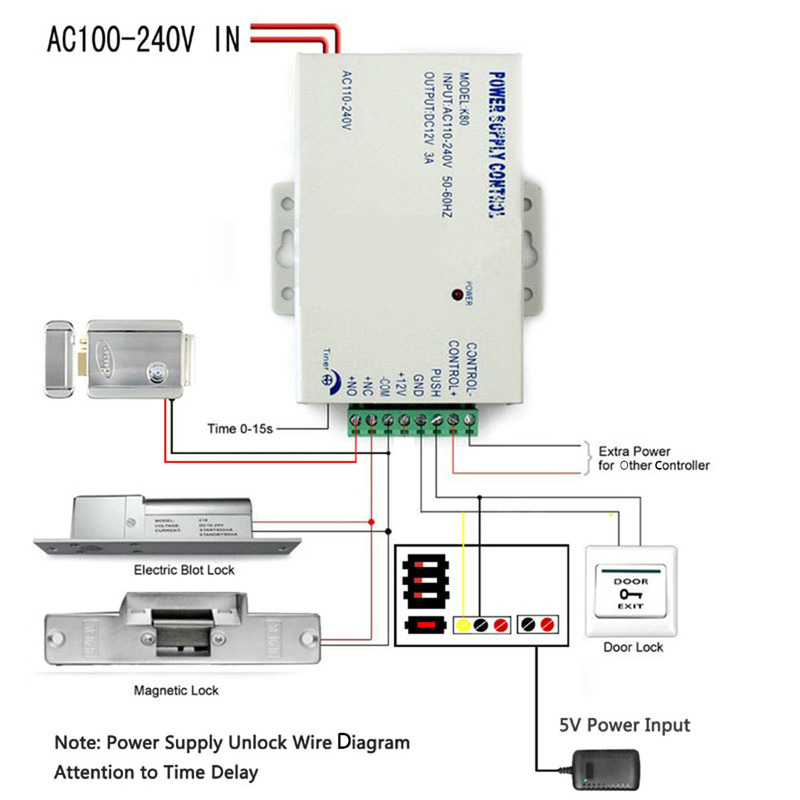 - Wide applications such as villas, apartments, office, hotels, public buildings, etc.